Dallas — Texas Central announced that WSP USA is joining the Bullet Train team to provide engineering support as the project moves ahead in its preconstruction phase. Texas Central, developers of the high-speed passenger train between North Texas and Houston, cited WSP’s award-winning experience in designing infrastructure projects and said its work will focus on engineering, cost estimating and scheduling. WSP USA’s history in Texas dates back more than 100 years. The announcement reflects the continued progress of the high-speed train, coming just weeks after Texas Central selected Fluor Enterprises and The Lane Construction Corporation to perform preconstruction planning in which WSP will provide engineering services. The project continues to announce world-class participants as it brings the best talent on board, building toward the expected 10,000 direct jobs each year during construction in Texas. The multibillion-dollar project is a 240-mile line that will connect North Texas and Houston in 90 minutes, with a midway stop in the Brazos Valley. The investor-owned project, which is not taking federal or state grants for its construction or operations, is bringing in partners familiar with Texas, creating jobs and opportunities here. 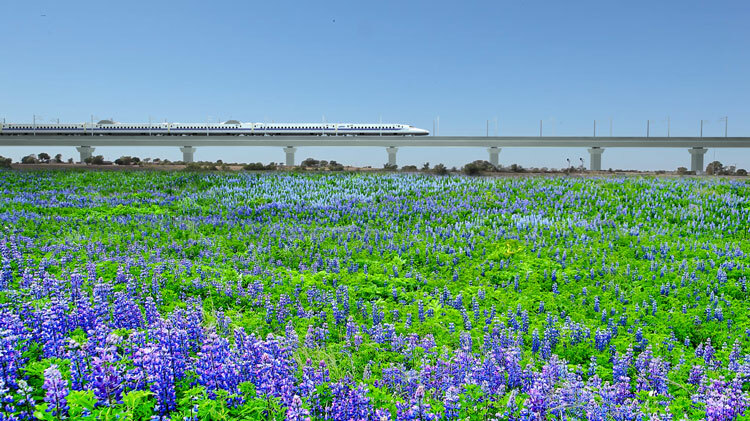 “WSP’s expertise in major infrastructure projects and our team of seasoned professionals position us well to ramp up quickly in support of the Texas Bullet Train. This is a transformational project and we are proud to be part of the project team,” said Joseph Pulicare, president of transportation & infrastructure for WSP USA. The firm already staffed dozens of full-time personnel on the project to assist Fluor and Lane. WSP has been a part of numerous high-speed rail projects around the world, including Taiwan, California, China, the United Kingdom and, most recently, a high-speed rail system that will connect Kuala Lumpur and Singapore. Its history in Texas dates to 1886, when William Barclay Parsons served as chief engineer of the Fort Worth and Rio Grande Railroad. He co-founded the firm that became Parsons Brinckerhoff, one of the largest American civil engineering firms. It has maintained a continuous presence in Texas since the 1960s. More recently, it has contributed to reconstruction of Houston’s IH-10 Katy Freeway; the Dallas-Fort Worth Connector in Grapevine, Southlake and Irving; and the Dallas Horseshoe project improving traffic flow through the heart of downtown Dallas.